Lovers of buffalo sauce will love the kick of spice in these simple, savory sandwiches! 1. Combine ranch dressing mix and about 3/4 bottle of buffalo sauce. 2. 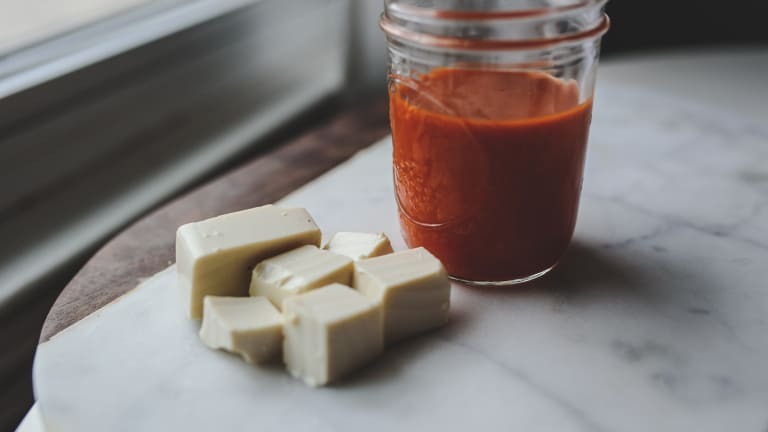 Add cubed tofu and sauce to slow cooker, coating the tofu well. 3. Cook on low for 6-8 hours or high for 3-4 hours. 4. Serve warm with bun or lettuce wraps and blue cheese crumbles, if desired.